TRUEresult is an advanced performance meter for easy, accurate testing. 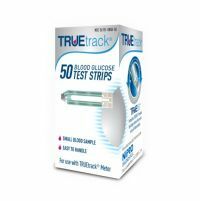 Used with state-of-the-art TRUEresult Test Strips, the TRUEresult monitor provides convenient, accurate blood glucose results. No coding Results as fast as 4 seconds Tiny 0.5?l sample size 500 test memory ? includes time & date 7, 14 and 30-day averaging Strip Release Button Four testing reminder alarms Weekday display Audible fill detection Ketone Test Reminder Alternate site testing Data management capabilities. To Recieve updates and possible rewards for Nipro TRUEtrack please sign in. To Recieve updates and possible rewards for Glucometer please sign in.